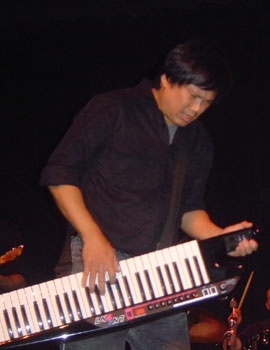 We at Blues Leaf are all mourning the loss of one of our family members - keyboardist, arranger, and musical director Lance Ong. He was a "Treasure" to all of us who knew him and played with him. He may be gone but won't be forgotten. May you rest in peace, Lancie. FOR "BEST CONTEMPORARY FEMALE BLUES ARTIST" - > JANIVA MAGNESS !!! Each year, The Blues Foundation recognizes Blues artists, musicians, and recordings through the annual presentation of the W.C. Handy Blues Awards. The Handy Awards are the highest recognition bestowed on Blues artists in the music industry. The Blues Leaf family & friends congratulate Janiva on this prestigious achievement! BECOME A MEMBER OF THE BLUES FOUNDATION NOW. BY BECOMING A MEMBER OF THE BLUES FOUNDATION ($25.00 TAX DEDUCTIBLE MEMBERSHIP) YOU GET MANY PRIVELEDGES TO INCLUDE VOTING RIGHTS FOR THE 25TH ANNUAL W.C. HANDY AWARDS (SILVER ANNIVERSARY CELEBRATION) 2004. VOTE NOW. WHAT ARE YOU WAITING FOR?!? Sultry blues singer Janiva Magness has been nominated as Best Contemporary Female Artist of the Year in the 25th annual W.C. Handy Blues Awards ceremony sponsored by the Blues Foundation in Memphis, Tenn. This is the first nomination for Magness, a resident of Los Angeles whose Janiva Magness Band performs nationally and internationally. The award will be presented April 29 at the W.C. Handy Awards show in Memphis. Previous winners of the Best Contemporary Female Artist Award include Etta James, Koko Taylor and Susan Tedeschi. "I'm thrilled to be nominated for this award", said Magness. "This is the kind of award that you hope to be named for some day, but you don't believe it will actually happen because of all the obstacles out there. I am truly grateful." The W.C. Handy Awards are universally regarded as the highest honor given to a blues artist. Other nominees this year include such noted performers as B.B. King, Buddy Guy, Taj Mahal, Etta James and Solomon Burke. Magness joins an elite group of women in the Best Contemporary Female Artist catagory. Additional nominees are past winners Marcia Ball, a piano player from Austin, Texas, and singer Shemekia Copeland of New York as well as guitarist Deborah Coleman of Portsmouth, Va., and singer E.G. Kight of Dublin, Ga.
For more than two decades, Magness has been winning praises from fans, music critics and publications such as Billboard, Downbeat, Blues Revue, Living Blues and Southland Blues. Born and raised in Detroit, MI., Magness was captivated at an early age by the blues and R&B sounds of the region. She developed a singular gritty and alluring vocal style that has made her a favorite a blues festivals throughout the United States, Canada and Europe. The release of her fifth CD in 2003, "Use What You Got" on Blues Leaf Records immediately catapulted Magness into the ranks of leading blues performers. Songs such as "I'm Lost Without You" and "I'm Not Ashamed" were an immediate hit with radio programmers across the country and "Use What You Got" quickly climbed to the top of blues radio charts. JON PARIS - "BLUE PLANET"
GENE LUDWIG - "HANDS ON"